Areas of common interest within the context of bilateral relations between both countries were discussed yesterday in an audience granted the Egyptian Ambassador. Bilateral relations between Cameroon and Egypt were appreciated yesterday June 6, 2018. This was in an audience granted by the Minister Delegate at the Ministry of External Relation in charge of Cooperation with the Islamic World, Adoum Gargoum, to the Egyptian Ambassador to Cameroon, Medhat Mohamed Kamal Elmeligy. Both diplomats revisited different sectors of collaboration for their mutual benefits. Speaking after the audience, the Egyptian Ambassador said they held talks on areas of common interest and collaboration as a means of strengthening diplomatic ties. “The Ministry of External Relations has been and will always be a welcoming home for foreign diplomats like myself where we converge on views relating to cooperation ties. We talked about our collaboration and thus far our relations have been very friendly,” he stated. With regards to the 2019 Africa Cup of Nations which Cameroon is slated to host, Medhat Mohamed Kamal Elmeligy said he equally presented his support to the government ahead of the continental tournament. Cameroon and Egypt share a very good diplomatic history. We support Cameroon as they prepare to host the 2019 Africa Cup of Nations. Together with the other 23 teams qualified for the competition, Egypt will be present to actively participate. 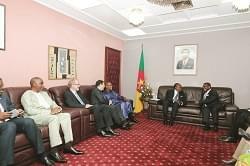 Cameroon is remarkable for its hospitality and professionalism,” he said. 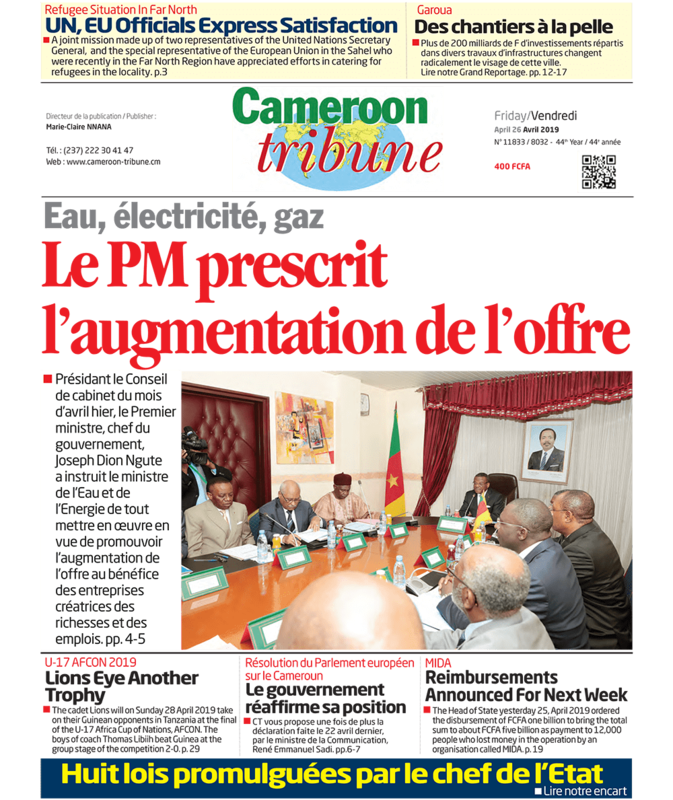 Cameroon and Egypt cooperate in a wide range of disciplines such as capacity building through the different trainings offered Cameroonians, participation in development through construction works by Arab Contractors, support in the management of humanitarian crises and other social advancing initiatives.